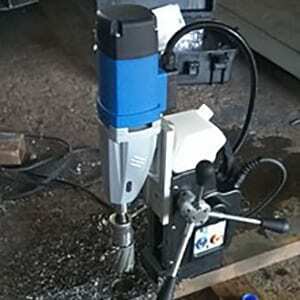 The mag base drill is a portable drilling machine with a permanent magnetic base. 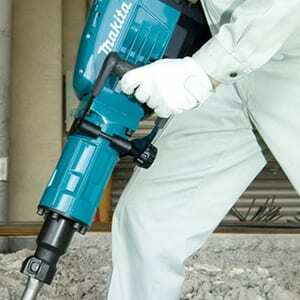 It is best suited for large and heavy work pieces which are difficult to move for making holes. They are portable and lightweight so they can be easily taken to the workpiece to be drilled. The strong magnetic base of the drill sticks to the metal surface to stabilize the drilling process. These drill are often used in steel fabrication, building, construction, and many other applications where drilling stability might be required. 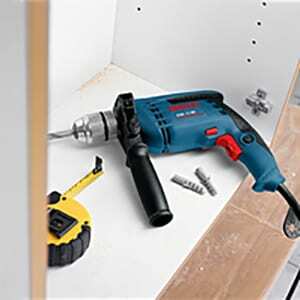 Pull the plug from the socket outlet before carrying out adjustments on the power tool or replacing accessory parts. Unintentional starting of drills is the cause of some accidents. After each adjustment on the drill stand, retighten the bolts and locking handles. Switch the drill on and lock the On/Off switch of the drill with the lock-on button. Otherwise, the drill cannot be switched on or off via the motor On/Off switch on the drill stand. Push the magnet On/Off switch upward and check if the drill stand adheres to the workpiece surface. To start the drill, press the motor On/Off switch to position “I”. Note: The drill can only be started when the magnet has already been switched on. To switch off the drill, press the motor On/Off switch to position “0”. Wait until the drill has come to a complete stop before pushing the magnet On/Off switch downward in order to switch the magnet off. When not using the drill, switch it off in order to save energy. Actuate the gear selector only when the machine is at a standstill. Four speed ranges can be preselected with the gear selector. Press the gear selector down, slide it to the requested setting according to the gearing below and allow it to engage at the respective end position. 1st gear: Low speed range; for working with large drilling diameter. 2nd gear: Average speed range. 3rd gear: Average speed range. 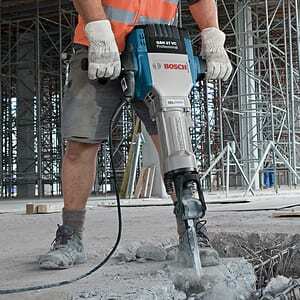 4th gear: High speed range; for working with small drilling diameter. If the gear selector cannot be slid to the stop, lightly rotate the drive spindle via the drill bit. To start the machine, press the On/Off switch and keep it pressed. To lock the pressed On/Off switch, press the lock-on button. To switch off the machine, release the On/Off switch or when it is locked with the lock-on button, briefly press the On/Off switch and then release it. To save energy, only switch the power tool on when using it. 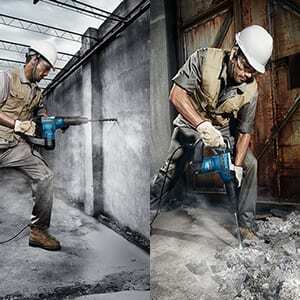 Use drilling lubricant or cutting oil for cooling and lubrication, and to avoid overheating or jamming of the drill bit. When drilling diameters >10 mm, drill a pilot hole with a small drilling diameter. This allows you to reduce the feed pressure and the power tool is strained less. For drilling in metal, use only perfectly sharpened HSS drill bits (HSS=high-speed steel). Prevents the workpiece from turning. For all work being performed in inclined, vertical or overhead positions, secure the drill stand against falling down with the provided safety chain. Before using the safety chain, check its proper function. Never use a damaged safety chain; replace a damaged safety chain immediately. Fasten the safety chain in such a manner that the drill stand moves away from you, should it come undone. Fasten the safety chain around the carrying handle of the drill stand with as little play as possible. Switch off the power tool immediately when the tool insert jams. Be prepared for high reaction torque that can cause kickback. The tool insert jams when: the power tool is subject to overload or it becomes wedged in the work piece. Hold the machine with a firm grip.